This report was commissioned by the Canadian Radio-Television and Telecommunications Commission ("the Commission" or "the CRTC") in November 2012 and was completed by CONNECTUS Consulting Inc. This report presents a review of alternative assistive communications technologies for persons with hearing or speech impairments that are currently on the market or in development, not including video compression technology, such as that used for video-based services like Skype or video relay service (VRS), and gateways. While the author has endeavored to ensure that the information is current and accurate at the time of writing, significant changes may be occurring or have occurred in some areas by the time of publication. This report reflects the research and views of the author, and should not be construed as representing any views of the Commission. Report Author: Richard Cavanagh PhD, M.A. CONNECTUS Consulting Inc. (CONNECTUS) is pleased to present its Final Report to the Canadian Radio-television and Telecommunications Commission (CRTC, the Commission) on The Evolution of Alternative Communications Technologies for the Deaf, Hard of Hearing and Speech Impaired (the Report). The Report was compiled through a scan and review of existing alternative communications technologies (which could also be termed 'assistive communications devices') designed for people with hearing or speech disabilities. The scan was supplemented through discussion with six international experts in the field of accessible technologies. Part I provides a brief definition and description of the term 'assistive devices' from a communications technology perspective. An assessment of its feasibility, based on such factors as accuracy, latency, cost, capacity and scalability. An examination of its potential enhancement or integration with other existing applications, platforms or technologies. An assessment of its potential impact on users. Where feasible, whether accessed in the public domain and/or permitted by rights holders, schematics, graphics and other technology elements are presented for illustrative purposes. Part III of the Report presents a summary grid of the above review and scan, together with recommendations on those alternative communications technologies that would be useful to monitor going forward. The Report also includes two Appendices. Appendix A provides a list of sources used for the Report. Appendix B presents a brief biography of the Report's author. This Report was compiled through a scan and review of existing alternative communications technologies (which could also be termed 'assistive communications devices', defined in the first part of the Report) designed for people with hearing or speech disabilities. Overall, the Report focuses on ways of improving telecommunications accessibility for those with hearing or speech disabilities outside of video compression techniques or gateways. The Report also touches on evolving approaches to the improvement of communication for those with hearing or speech disabilities, largely through the development of new software applications but outside of the telecommunications system itself. A review and scan of existing and developing alternative assistive communications technologies indicates that the following six categories can be identified, although there is overlap between them. New captioning technologies in telecommunications examines advancements in telecommunications devices for the deaf (TDD) traditionally used for text communication via telephone lines, focusing primarily on captioned telephones. Traditional TDD technology has fallen by the wayside due to (i) advances in TDD technology that uses operators, software or both to effectively create 'captioned telephony' and (ii) the widespread use of digital (or internet protocol) networks instead of analog networks for communication by those with hearing and speech disabilities. Captioned telephones operate in a fashion similar to TDDs, but work as a regular telephone that provides voice and displays captions simultaneously. While technical barriers to the adoption of captioned telephones in Canada appear limited, the feasibility of integrating this accessible technology into the Canadian system is in question, for reasons of public policy and the rapid evolution of other useful technologies. 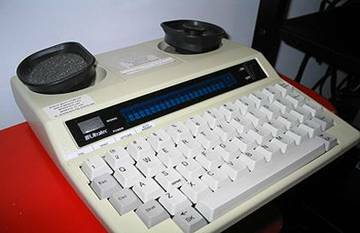 Advancements in text relay looks primarily at Internet Protocol (IP) Relay which allows people with hearing or speech disabilities to communicate using a computer and the Internet – the computer effectively becomes the TTY. There are no additional costs to users of IP Relay beyond a computer or other Web-capable device and an Internet connection. IP Relay services were launched in Canada in early 2011. Multiple types of computer programs can be used with IP Relay, including custom programs that run in a computer's web browser, as well as instant message-based services. It is multi-device and multi-platform, capable of functioning with tablets, smartphones, and computers. While IP Relay is a fully feasible text-based service for Canadians with hearing and speech disabilities, the speech to text conversion software that is used to enhance the efficiency of operators may be limited in terms of (i) its accuracy in conveying correct text and/or (ii) the 'trainability' of the software itself. Speech to text conversion technologies utilizes software to convert vocal sounds to written words (i.e. 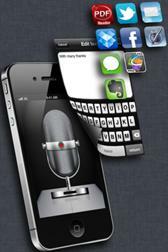 speech recognition or more advanced voice recognition technologies). It is used for both CapTel and IP Relay, where a Communications Assistant (i.e. relay operator) repeats the words of anyone who is speaking into a computer microphone. The computer's speech to text software converts the spoken words into written ones. In general, speech to text conversion is probably limited in its attractiveness to those with hearing and speech disabilities, because of its questionable accuracy. Moreover, it is viewed as secondary to video, secondary to Sign-to-speech/text conversion, and has been surpassed by mainstream SMS and instant messaging technology. However, speech to text conversion technology has a number of applications, including IP Relay, closed captions for television broadcasting and mobile platforms. Sign Language to speech/text conversion converts Sign Language to text or computer-generated spoken word in near-real time. A discussion of Sign to Speech/Text conversion shifts the technology focus from one on telecommunications to one on communication apps. This is an important distinction, because this particular technology does not involve augmenting or otherwise altering the telecommunications system for purposes of better accessibility. Rather, it adds a software application to deliver a new type of communication between users. Sign to speech or text conversion technology is once again a software-based system that converts Sign Language to computer-generated spoken or written words (for example, American Sign Language, Langue des signes québecois, British Sign Language or the specific Sign Languages of other jurisdictions), or converts text or spoken word to Sign Language in near-real time. While there is an international groundswell of interest in this evolving technology, Sign to speech or text conversion is in its relatively early stages of development. The speed at which Sign to speech/text conversion is proceeding appears more rapid (compared with, for example, speech to text conversion technology) because at the present time there is considerable momentum on an international scale behind this technology; multiple projects, similar in design and approach, presenting opportunities for information exchange, are underway in a number of jurisdictions. But while indications are that this technology will deliver a useful addition to assistive applications, some current claims – such as real time conversion from symbol to text – should be treated with caution. Such caution is reasonable given the early promise of voice recognition software that ultimately encountered significant barriers and limitations that have proven difficult to overcome. Mainstream technologies such as Short Message Service (SMS) and instant messaging have been massively adapted for use by those with hearing or speech disabilities. There is little doubt that mainstream communications technologies such as SMS have simply and very quickly surpassed other assistive technologies for a number of reasons: text-based, easy to use, vibrating functionality of handsets, fast and potentially inexpensive. The benefits for users are, in a word, enormous – dramatically changing the lives of millions. It has been suggested that mainstream text messaging, SMS or other instant messaging are by far the most widely available and widely adapted technologies for people with hearing and speech disabilities. They are technologies that have unintentionally resulted in 'electronic curb cuts' of mass proportions.2 Considering that such technologies are developed by the world's largest software companies and most creative application developers also means that these technologies will keep evolving given market competition and massive consumer uptake. Future developments and applications in alternative technologies include a portable device in which two or more users type messages to each other that can be displayed simultaneously in real time; a personalized text-to-speech synthesis system that synthesizes speech that is more intelligible and natural sounding to be incorporated in speech-generating devices; and automatic personalization of communication preferences, using a cloud-based preferences profile that cuts through the clutter of 'too much choice' for users. As a concluding note on the current and developing state of alternative communications technologies, professionals in this field who were consulted for the scan identify two important emerging issues. First, the "ecosystem for these technologies is option-rich." There are more choices than ever before for enhancing communication for people with hearing and speech disabilities – to the point of being both overwhelming and creating a digital divide in terms of tech-savvy users and those who are not. Second, "accessibility features and services are massively underused, even when they are free. People lack awareness and confidence – they don't know what will work and they don't know how to get started." In other words, putting information into action can be a barrier to using the technologies that are there now – and resolving this issue is key. Although a scan and review of video compression technologies that result in applications such as Skype, Google Hangout or VRS were beyond the scope of this Report, video compression technologies should also be monitored given their importance to users and the more efficient use of bandwidth that future developments may represent. It should be noted from the outset that, while some alternative communications technologies specifically identify their utility for people with hearing and/or speech disabilities, a number of mainstream technologies have been adapted for widespread use by this community of people with disabilities. Such technologies include SMS (short message service) and instant messaging/texting of the type widely and currently available on many mobile devices such as smartphones. Text messaging and the use of video technologies such as Skype have become ubiquitous with the community of those with hearing and speech disabilities, largely because of their easy adaptation for those who have typically used assistive devices to communicate. Smartphone and other mobile devices were not specifically manufactured for this purpose – but their functionality nonetheless reaches over to the disability community by the very nature of the method of communications used: text. Despite the usefulness of mainstream communication technologies to users with hearing or speech disabilities – explored in greater detail below – there remains an important and expanding assortment of alternative assistive communications technologies, as set out in the next section of our Report. New captioning technologies in telecommunications (i.e. advancements in telecommunications devices for the deaf (TDD) traditionally used for text communication via telephone lines. Advancements in text relay using digital networks, such as Internet Protocol Relay. Speech to text conversion technologies, which utilizes software to convert vocal sounds to written words (i.e. speech recognition or more advanced voice recognition technologies). Sign Language to speech/text conversion, which converts Sign Language to text or computer-generated spoken word in real time. Mainstream technologies such as Short Message Service (SMS) and instant messaging adapted for use by those with hearing or speech disabilities. Future developments and applications using cloud computing and other advancements that facilitate communication for those with hearing and speech disabilities. To understand the role and importance of new captioning technologies in telecommunications, it is first important to understand the basics of how telecommunications devices for the deaf, or TDD, operate. First developed in the 1960's, a telecommunications device for the deaf (TDD) is an electronic device that enables text communication using telephone lines, enabling those with hearing or speech disabilities to communicate one-on-one with each, as well as with hearing people. A typical TDD – also called a teletypewriter (TTY), a textphone (in Europe) and a minicom (in the U.K.) is about the size a small laptop, with a standard QWERTY keyboard and small LED or LCD screen that displays typed text electronically. This traditional form of telecommunication is falling by the wayside for two key reasons: (i) advances in TDD technology that uses operators, software or both to effectively create 'captioned telephony' and (ii) the widespread use of digital (or internet protocol) networks instead of analog networks for communication by those with hearing and speech disabilities (which is discussed later in our Report). A few conditions to captioned telephony are worth noting. First, while captions appear automatically in the telephone set display screen such as the one illustrated below, how one connects to the captioning service depends on the type of phone in use. For example, a one-line unit means the caller must first dial the captioning service, and route the call from there. A two-line unit means that calls are directly routed, just like a regular telephone call. Second, there is the question of how calls are transcribed and converted into captions by the captioning service. In general, voice recognition software is used; this means that the words spoken by a caller are repeated into a computer by an operator, and then converted to captions at the other end of the call. This in turn can create practical issues in terms of captioning accuracy, discussed below in the section on 'barriers'. 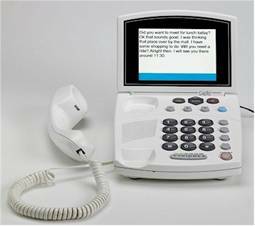 The intended purpose or function of captioned telephony is to provide users – especially those with residual hearing who may have difficult with regular telephony – with near-real time captions for those with hearing or speech disabilities in one-to-one communications. A wide variety of captioned telephones are manufactured in the U.S., and their availability in the Canadian market would be rapid (for example, less than three months) presuming (i) Industry Canada approval of the captioned telephone sets and (ii) the establishment of contractual agreements between telecommunications service providers (such as Bell Canada or Telus) and product retailers (such as Future Shop) with hardware vendors. It is important to note that the target user for captioned telephony is one who has experienced mild hearing loss, and consequently may have difficulty with voice-only telephone communication. In general, the ability for end users to communicate in near-real time is viewed as a major benefit of captioned telephony. So too are the transparency of the system (i.e. the role of transcription) and the ease of interface between end users. The central limitation on accessibility resides with existing limitations on voice recognition software used by the captioning service (again, discussed in the section on 'barriers' to follow). In addition, there is a potential benefit to the cost of using CapTel for users, vis-à-vis other platforms or technologies – largely because it's availability in the U.S. is heavily subsidized, from handsets (which can cost $400 (U.S.) or more), to the use of the captioning service, which is free of charge. A cost comparison of various alternative technologies might prove useful to determine the financial benefit of captioned telephony for users. Presuming the seamless integration of the system with Canada's existing telecommunications system and setting aside for the moment concerns about feasibility (discussed below), a central barrier to adoption is the mechanism for delivering near-real time captions to end users: the accuracy and reliability of voice recognition software. Unlike relay service, an important part of the communications chain for captioned telephony has a Communications Assistant (or CA, who works for a captioning company) speaking the words of a caller into a computer. (The software works more efficiently when limited voices are used; hence, the voice of the CA and not the caller is used to create the captions.) The computer's voice recognition software converts the CA's words into captions, which are then transmitted to the end user and appear on that user's captioned telephone set. As noted above, the software works more efficiently when limited voices are used to 'train' it; the system continues to work poorly with multiple voices, and multi-party situations such as conference calls would likely prove too complex for the software to manage (assuming there is no Communications Assistant re-speaking all callers). It is generally accepted, however that voice recognition software will continue to improve as its use becomes more widespread (in closed captioning for television, for example). To this end, the major barriers to the adoption of captioned telephony in Canada are more about feasibility than technical limitations. A more secondary barrier to the adoption of CapTel may be the unwieldy nature of 911 service when using a captioned telephone. In the case of the U.S., 911 operators are called directly by users of captioned telephones (i.e. calls are not routed through a captioning centre), but 911 call centres do not provide captions. Instead, the captioned telephone defaults to a Voice Carry Over phone; 911 operators must use a TTY to communication with the captioned telephone. This, of course could prove problematic if a caller is unable to speak, or speak clearly enough to communicate with the 911 operator; no fallback scenario is provided in these instances. Although improvements continue to be made with respect to handsets and software, the technology is fully developed in the U.S. It is also being trialed in Australia. While technical barriers to the adoption of captioned telephones in Canada appear limited, the feasibility of integrating this accessible technology into the Canadian system is in serious question, for reasons of public policy and the evolution of technology more generally. First, Canada has no federal legislation similar to the U.S. Americans with Disabilities Act (ADA), which mandates the funding of captioned telephony in the U.S. With no similar technology-specific legislation, the provision of captioned telephony would require the development of new public policies or regulation requiring the funding of a captioned telephone system in Canada. Second, it is questionable as to whether there would be a sufficient market need for a captioned telephone system at this time, since in the seven years since the introduction of CapTel in the U.S., instant messaging systems have advanced considerably – bringing with them unintended 'electronic curb cuts' for people with hearing and speech disabilities. Given the absence of a policy framework supporting captioned telephony and the rapid development of instant communication on digital platforms, market research would be required to determine the actual need for a Canadian captioned telephone system at this stage of technology evolution. In this instance, a regular telephone is connected to a computer or smart phone; calls are made on the regular handset, but captions of the call are viewed online via the Internet browser window of a computer or smart phone. While WebCapTel can be used via any phone, requires no special equipment and is free of charge, international calls cannot be place and certain service providers (such as CapTel) have restrictions on how many users can be registered for the service at once. Other service providers such as Sprint CapTel have no such restrictions. The reason for this is not known, but may have something to do with available network capacity or available capacity or human resource limitations at captioning centres. Based on the U.S. model of captioned telephony, the impact on users can be assessed overall as positive – but largely because of a legislative and policy framework that restricts or altogether eliminates the cost burden on end users. This means that, as noted above, an unsubsidized Canadian version of captioned telephony, which requires users to bear the costs of handsets and the associated operational costs, may not derive sufficient benefits compared to the costs of an alternative communication device and platform like SMS or instant messaging. This data would provide some insight into the relative importance or usefulness of captioned telephony against more recent developments in instant messaging-based one-on-one communications. As noted by an expert consulted for the scan, "SMS has overtaken (the need for) CapTel…TTYs are dead, and have been obsolete since the 1980's." Internet Protocol Relay, or IP Relay as it has become known in Canada, the U.S. the U.K. and a number of other jurisdictions, has become a key advancement in text-based relay services, available to large numbers of people with hearing and speech disabilities in a relatively simple and inexpensive fashion. IP Relay allows people with hearing or speech disabilities to communicate through the telephone system with hearing persons. Rather than using a traditional TTY and telephone, with a relay operator conveying text and voice as required, IP Relay is accessed using a computer and the Internet – the computer effectively becomes the TTY. In a traditional Telecommunications Relay Service (TRS), a TTY user would contact a TRS centre, and the Communications Assistant (CA) at the TRS centre call the receiving party via voice telephone. In IP Relay, the first part of the call goes from the caller's computer (or other web-enabled device like a tablet or smartphone) to the IP Relay Centre via the Internet; the centre is typically accessed via a service provider webpage. The next part of the call – a more traditional TRS element – is made by the CA to the receiving party via voice telephone through the PSTN. The caller types out his/her end of the call, which is relayed by voice to the receiving party; the receiving party responds by voice, which is typed and relayed to the caller by the CA. It is essentially a TTY call, but a computer or other device stands in for the TTY. As many Canadian service providers required additional time to develop and launch their respective IP relay services, extensions were granted by the CRTC. IP Relay services were launched in Canada in early 2011. The purpose of IP Relay is to enable text-based communication on digital platforms for those with hearing and speech disabilities, effectively enabling computers and other web-enabled devices to take the place of TTYs that are more restrictive in their utility and rapidly declining in usage given advancements in other technologies, most notably instant messaging. IP Relay is now in use in a number of countries, including Canada, the U.S., the U.K., Australia and a range of European countries (where it is more commonly known as Web-based text relay services). While time to market for IP Relay varies, the Canadian experience was approximately 18 months from the announcement of a regulatory obligation to provide IP to its launch in the marketplace – although some glitches in the system are still being addressed. As a text-based service for those with hearing and speech disabilities, IP Relay brings a number of benefits for users. Second, multiple types of computer programs can be used with IP Relay, including custom programs that run in a computer's web browser, as well as instant message-based services. Fourth, IP Relay enables users to multi-task while carrying on a conversation (surf the Internet, for example) and further enables participation in conversations with multiple parties (such as conference calls). There are few if any barriers to adopting IP Relay as a text-based service for people with hearing and speech disabilities, and certainly none that would serve as a disincentive to its introduction into the marketplace. However, difficulties with IP Relay have arisen on two fronts: access to 911 and misuse of the service through criminal activity such as fraud. While 911 is accessible through IP Relay (a relay operator places the call), it is not possible to identify the exact location of callers. This means that callers need to be able to provide their exact address and other information about their location or the operator is unable to place the call. However, because IP Relay works well on mobile phones that may not support bandwidth requirements needed for VRS, it can provide users with access to 911 when no other option may be available (as in the case of car accidents, for example). In other words, an individual fraudulently obtains a registration to use IP Relay; obtains fake or stolen credit cards; contacts a U.S.-based business knowing that businesses must by statute accept relay calls; and makes purchases under a 'double fraud' of fake registration and illicit payment methods. IP Relay has reached completion and launch in the Canadian marketplace. However, because it is based on a system involving relay operators and voice recognition/ speech-to-text software, improvements in the service are constantly sought by providers, based in large part on available improvements in software (and training of that software in speech recognition). IP Relay is a fully feasible text-based service for Canadians with hearing and speech disabilities. However, the speech to text conversion software that forms a core element of the service may be limited in terms of (i) its accuracy in conveying correct text and/or (ii) the 'trainability' of the software itself (see the discussion on the development cycle of speech to text conversion software below). In other words, the feasibility of IP Relay is largely dependent on achieving a high level of accuracy in converting speech to text – at least as high as the 95 percent level that is claimed by some software providers. Data on accuracy of IP Relay is not available, but as noted above, experts in accessible communications technology indicate that accuracy varies across service providers. As noted above, IP Relay works well with multiple devices, platforms and programs, because its text-based nature takes up little bandwidth. As noted by an expert consulted for the Study, speech to text (and the reverse, text to speech) conversion has clearly made advancements, but has nonetheless encountered limitations inherent in conversion software applications to date. However, because of its availability in the marketplace and continuing development, it is worthwhile including speech to text conversion in this scan and review. In basic terms, speech to text conversion technology utilizes special software to convert vocal sounds into written text. It is also referred to as 'speech recognition' or, in the case of more advanced software 'voice recognition' or 'speaker recognition' conversion technology. In the case of the latter – far from being available in the marketplace – the software recognizes the speech patterns, vocabulary and syntax of individual/ unique voices and converts the sounds to text. However, for purposes of this Report, the focus is on more generic speech to text conversion, in part because it is further along in development and in part because individual voice to text conversion may never fully develop. A good example of speech to text conversion has already been discussed above, with respect to CapTel and IP Relay: in both cases, a Communications Assistant repeats the words of anyone who is speaking into a computer microphone. The computer's speech to text software converts the spoken words into written ones. But it is important to note that the Communications Assistant must repeat the spoken words, as the software can only recognize a very limited number of voices. It would never be able to recognize and convert the voices of individual callers to text. Hence the 'relay' component of the communication chain must remain intact. The speech recognition systems on the market generally rely on two models: an acoustic model, or the encoding of linguistic information in speech, and a language model, or estimates of the probability of word sequences. For large vocabularies with certain words pronounced in different ways, the system will include a pronunciation model as well. In essence, speech to text conversion is intended to provide another alternative text-based translation system to people with hearing and speech disabilities. 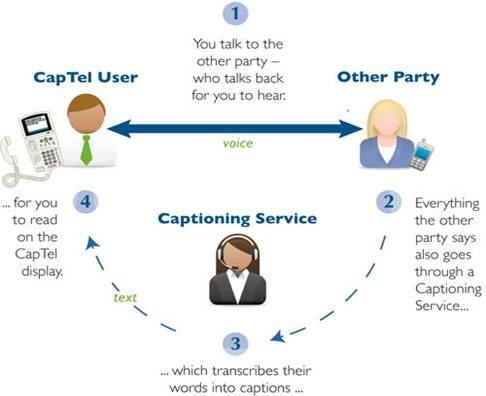 Because of the technology's limitations, speech must be converted at source rather than anywhere/anytime; thus a Communication Assistant must re-speak a caller's words in the case of CapTel or IP Relay, as the software would be unable to convert the speech of individual callers to text. Applications of speech to text include, as noted, CapTel and IP Relay; voice mail-to-text software for telephone systems (produced by Dragon, one of the major providers of speech to text software and other assistive software applications); and closed captions for television programming (where a captionist re-speaks the words of, for example, a news anchor and the speech is converted to captions for broadcast). Speech to text software is highly complex to develop, and its development cycle is directly linked to the type and amount of speech the software can be programmed to recognize. It is difficult to determine the exact amount of time involved in speech to text conversion software, since it has been in a cycle of development and improvement for decades. In addition, it is a competitive marketplace, so proprietary content and trade secrets are common. But one can safely suggest that product improvements might take anywhere from 20 to 30 man-years to reach the market, i.e. 20 to 30 developers working for one year to bring the software to the next level. One further point on the development of speech to text conversion software should be made: accuracy is everything. As noted below, a lack of accuracy is a major and continuing issue for this type of alternative technology. This is because system operation is more complex than a simple matter of downloading and using the software, as the each piece of speech to text conversion software must be 'trained' to recognize the speaker and manner in which the words are spoken by that individual. 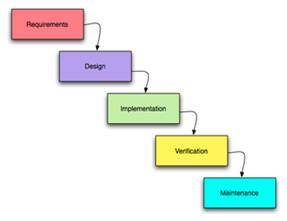 This can add months to getting the software to the operational stage. Assuming that the specific speech to text software has been programmed and trained for a high level of accuracy (>95%), then its usefulness to those with hearing and speech disabilities is undeniable, in particular when it is used for such services as IP Relay. Is it compatible with your computer's platform? 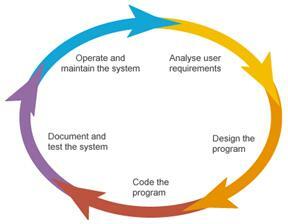 What is the learning curve of the software? Does it integrate with existing applications, e.g., word, excel? Does it ship with its own microphone? Does it have macro compatibility (that is, can you program simple commands that can be used to execute more complicated series of operations)? Do you need a remote model? Will you need a USB microphone (since it comes with its own sound card)? Does it allow for transcription from digital tape recorders? Does it allow for wireless dictation, i.e., Bluetooth compatible? Does it allow you to import/export word lists and user profiles? Does it allow for transcription from a digital voice recorder? Consider choosing a model compatible with the voice recognition software. This litany of considerations alone might serve as a barrier to individuals , who are less comfortable with technology (less 'tech savvy'), contemplating the use of speech to text software. It is safe to say that speech to text conversion is in a continuous state of development and improvement with respect to it trainability and ultimate level of accuracy. At the present time, it is generally viewed that accuracy can reach 90 percent with a standard period of training – approximately three months, with improvements sought on a consistent basis. It is also generally agreed that an accuracy threshold of 95 percent is the goal – but difficult to surpass. There will therefore always be some inaccuracy in speech to text (which is also considered the case for closed captioning for television programming – in that some level of error will inevitably occur in the chain of events that bring captions to the screen). Moreover, the user's personal characteristics will also determine the relative feasibility of a speech to text conversion technology. For instance, a pure speech to text solution is less meaningful for a person who is deaf and uses sign language than a speech-to-Sign/Sign-to-speech solution. While there are instances where speech to text is "necessary", the technology is viewed by some in the deaf community as less useful than SMS or a "highly accurate" Sign Language conversion solution. For many sign language users, written language i.e. English or French is not their primary language. Due to their lack of comfort this specific user-group has with written language, a sign language conversation solution is more meaningful as it bridges are more significant gap in communications than a speech to text solution would. Speech to text conversion is thus among the most ubiquitous of alternative technologies for use by those with hearing and speech disabilities. The question is more about retaining its relative usefulness vis-à-visdeveloping technologies in Sign-to-text conversion given different target audiences (i.e. differing levels of disability). Two photographs of an iPhone illustrating Apple's Voice Dictation to SMS application. 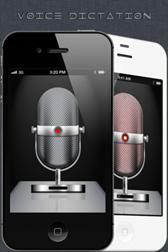 Both photographs show a microphone on an iPhone screen. There are now dozens of options for text, voice, video, and most of them are free (assuming you have some form of connectivity) and pre-installed in all the devices and service packages that are ubiquitously offered. The challenge is compatibility – can you communicate across the competing value chains? Not always easy or intuitive. It's an endless Google search – whereas before we had a single non-optimal solution (e.g., TTY) that every deaf person used, now we have hundreds of competing mainstream solutions with slight variations in features, which all change quarterly, where sophisticated deaf users get better service than 'trailing edge' deaf people. It's also kind of like drug interactions regarding compatibility – I'm taking so many medicines under treatment by so many physicians that I'm bound to suffer some bad pharmaceutical collision. In both senses information is the missing element – not raw information, but deeply contextualized information that will make sense for me, doing what I do, at the school or workplace where I am. But the upsides are so strong – we've really reached a point where a well-informed and self-actualized consumer can find what they're looking for and put together their own package of devices and services, usually at a reasonable cost. Highly customized and personalized, with just the features needed. It was also noted that a "new digital divide" is being created by the plethora of technologies available: the divide between sophisticated and not-so-sophisticated deaf users as noted in the above quote. It may be that speech to text – many variations, many platforms – offers one partial alternative technology solution, one piece of a communications solution that is made up of many, constantly changing, pieces. Such a system of speech recognition could have a positive use for individual with motion disabilities – i.e. those who are able to speak but with limited movement for the use of remote controls and other devices. As noted above, Sign to Speech/Text conversion – as it is called by members of the deaf and hard of hearing community – is a technology of major interest to those with hearing and speech disabilities that are conversant in Sign Language communication. There is currently a large gap in Canada for communications between people who are conversant in Sign Language and those that are not. Live interpreter services are available through various agencies offering interpretation in American Sign Language/Langue des signes québecoise (ASL/LSQ), but Video Relay Service does not currently exist in Canada. Thus an application which could help narrow the gap such as sign to speech/text conversion technology is of major interest. It is, however important to note that there are some apps out there that convert speech or text to Sign. However, they match individual words to individual Signs out of a Sign language dictionary. Their effective speed and accuracy of translation make it a communication tool, but not an interpreter substitute. In addition, Sign Language is a type of communication that uses gestures as well as facial expressions and body language to convey meaning. Current Sign-to-speech/text conversion technology cannot capture all of these sometimes subtle nuances. Syntax is also very important; that is, Sign Language is not directly translatable word-for-word to spoken language and some degree of interpretation is typically required to understand context and meaning. While applications like the Portable Sign Language Translator (PSLT) has taken this into account, it will likely be some time before the fullness of Signing can be completely interpreted by a software application. Thus a technology that substitutes for human Sign Language interpreters is viewed as an important development by users, and is the focus of this part of our scan. It should be noted as well that a discussion of Sign to Speech/Text conversion shifts the technology focus from one on telecommunications to one on communication apps. This is an important distinction, because this particular technology does not involve augmenting or otherwise altering the telecommunications system for purposes of better accessibility. Rather, it adds a software application to deliver a new type of communication between users. Sign to speech or text conversion technology is once again a software-based system that converts Sign Language to computer-generated spoken or written words (for example, American Sign Language, Langue des signes québecois, British Sign Language or the specific Sign Languages of other jurisdictions), or converts text or spoken word to Sign Language in near-real time (i.e. translation is a few seconds – or more – behind the Signer, depending on the complexity of Signing involved. real time. Sign to speech or text conversion is in its relatively early stages of development; at the present time, a computer program converts one form of communication (such as Sign Language) into the other (such as text or a computer-generate voice). For example, a video camera connected to computer records an individual who is communicating in Sign Language. The hand signs are imported into the conversion program, and the signs are converted to another form of communications, either text or a computer-generated voice. The key advantage, of course, is that this technology enables a person who is conversant in Sign Language (the person's first language, perhaps) to communicate with a person who cannot read signs. The claim of outputting text 'in real time' should be viewed cautiously however, given the level of complexity involved in Sign language syntax, facial expression and body language. The Sign to speech or text conversion program is still in development at a firm called Technabling, which is a spin-off company of the University of Aberdeen in Scotland. The conversion program is called the Portable Sign Language Translator (PSLT), and has generated considerable attention for its groundbreaking advancements in Sign to speech or text conversion. There is also an international groundswell of interest in this evolving technology, as a number of other programs are also in development, including the Atlas program in Italy, the DePaul ASL Synthesizer Project in the U.S., SASL-MT in South Africa, and the 'SiSi' (Say It, Sign It) project in the U.K. The syntax of Sign language is highly complex, with combinations of symbols, facial expressions, body language and emotions used to communicate. The technology behind such projects as SiSi is equally complex, using combinations of software to produce a Signing avatar. These projects typically use linguistic processing – that is, teletext analysis and speech recognition software – to create sequences of motion-captured Signing data. The intended purpose of Sign to speech/text conversion and vice-versa is to enable new opportunities for communication between those conversant in Sign Language and those who are not, and to enable the more ubiquitous use of Sign Language interpretation when live interpreters may not be available. 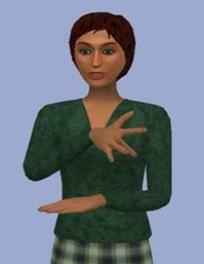 On the latter point, the conversion of speech to Sign – for example, in a classroom setting – would allow the provision of Sign Language via an on-screen avatar when a live Sign Language interpreter is not available for a lecture. The product development cycle for Sign to speech/text conversion technology largely follows the cascading or cyclical pattern noted above in our discussion of product development for speech to text conversion. The speed at which Sign to speech/text conversion is proceeding appears more rapid (compared with, for example, speech to text conversion technology in development since the 1960's) because at the present time there is considerable momentum on an international scale behind this technology; multiple projects, similar in design and approach, presenting opportunities for information exchange, are underway in a number of jurisdictions. This momentum includes considerable private sector and university-based funding as key drivers – pushing new conversion technologies such as the PSLT to a mass-marketed application that targets the end of 2013 for completion – just over 12 months from now. But while indications are that this technology will deliver a useful and potentially valuable addition to assistive applications, we note once again that some current claims – such as a claim of real time conversion from symbol to text – should be treated with caution. The functionality of the first app also remains to be seen. Such caution is reasonable in this instance, given the early promise of speech recognition technology which slowed considerably once it encountered significant limitations that have proven difficult to overcome. While there is considerable excitement at present about the advent and continuing development of the Sign to speech/text conversion systems, the potential benefits for users appear to be considerable. In this way, those younger learners with speech disabilities can use the system to create libraries of customized hand gestures and signs that express "domain-specific concepts" needed to discuss topics of study with teachers and others. The customizable feature also enables those with more limited motion or other physical disabilities to create meaning-specific gestures (such as a flick of the wrist for "Must use the bathroom") tailored to physical capabilities. At the present time, the central barriers to adoption are (i) the extent to which the software can read and convert specific signs, (ii) accuracy of voice recognition software which may be used to convert Sign Language to speech and (iii) speed at which the software and camera can capture signs. The limitations of voice recognition software noted above also apply to Sign to speech conversion. However, the prototype PSLT system developed by Technabling focuses more on Sign to text than Sign to speech, for the time being obviating reliance on potentially limited speech recognition software. But while indications are that this technology will deliver a useful addition to assistive applications, some current claims – such as real time conversion from symbol to text – should be treated with caution. Avatar-based Sign language systems are varied in their development stage. The U.K. SiSi project is well advanced, for example, while the South African Sign Language project (which is virtually identical to other avatar platform conversion projects) is still in mid-development. For more advanced projects, a 24- to 36 month window of expected before the conversion software is available on a mass market basis. Because Sign to speech/text conversion technologies are centrally focused on the development of software applications – as opposed to augmenting telecommunication systems – their feasibility is very strong, for several reasons. First, it is anticipated that the final version of the software will have a high degree of both accuracy and flexibility. That is, it is anticipated that the PSLT application will accurately interpret Signing on a consistent basis, and will have a strong level of adaptability in learning unique symbols and language (such as those exchanged within sub-cultures or youth cultures). For example, it is important to note that the PSLT conversion software enables a 'complete' interpretation of signs. In other words, if the signs for 'I', 'drive' and 'car' are given, the text that was generated read, 'I drive the car'. If the sign for 'yesterday' is given, then the system converts the verb tense automatically: "Yesterday, I drove the car". Second, the app-based nature of PSLT and the Sign/avatar-based projects lend themselves to production on a large scale, with affordable pricing (an important consideration given the lower socio-economic status of many people with disabilities). Third, the focus of the Sign-to-speech conversion is portability, in that the applications are designed to work across multiple devices, including mobile devices, thus making the application more widely accessible, and portable, to those with hearing and speech disabilities. However, to date, the technologies being developed are off-line applications and targeted towards in-person communication. However, it should be cautioned that the speed of image capturing and sign conversion has yet to be tested for highly complex or variable elements of Sign language. As with the other technologies reviewed in this scan, the meaningfulness of this technology is depended on the user's characteristics. The meaningfulness of sign to speech/text conversion technology is limited to those who use sign language as their primary means of communication, and those who wish to communicate with them. For a person who is deaf, hard of hearing or speech impaired and does not use sign language, the meaningfulness of this technology is largely diminished. The developers will not be integrating the PSLT with voice and/or video communication tools such as Facetime or Skype upon its initial release; PSLT can be ported to iPhones and iPads, but only if demand warrants. The portability and flexibility of the PSLT system, together with multiplatform functionality and customizable software, carries a potentially positive impact for users in a number of face to face situations, such as school and employment. The developers of PSLT have focused largely, if theoretically, on the positive impact for users with respect to finding employment and then communicating more effectively on the job. That is, using a device that accurately and rapidly translates signs to text would enable a user with a hearing or speech disability to expand the number of jobs he or she applies for, because the communications barrier between signers and non-signers is reduced. In general, the most positive impact on users would appear to be the difference that the system can make in general face to face communication. As noted above, certain sign to speech/text conversion applications utilize existing motion capture technology as one element of creating a signing avatar. Motion capture is also used in video gaming systems such as Wii and Xbox 360 Kinect, so once again there may be advancements made to gaming systems as a result of Sign to speech/text conversion research. While less developed, there are indications of interest in other spin-off products – some in use now, and some in development. Graphic of a Sign language converter pendant, a small tube shaped device worn on a chain around the neck. 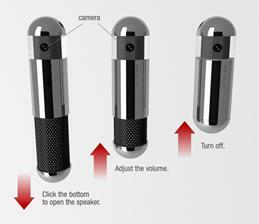 The image shows three versions of the pendant: left image, "Click the bottom to open the speaker", centre image, "Adjust the volume" and right image, "Turn off". Research and development in the field of assistive technologies like speech to text and Sign to text/speech conversion has given rise to another, potentially major spin-off: a more universal translator that automatically converts text from one language to another language, or converts the spoken words of one language to another language. We have elected to approach this part of the Report as a basic narrative, as the discussion moves from an examination of alternative technologies to one of how mainstream technologies have been adapted by people with hearing and speech disabilities. While there is a temptation to declare SMS, instant messaging and other text-based instantaneous message systems the 'assistive technology of choice' for those with hearing and speech disabilities, there is no conclusive data to support such a declaration. SMS is the world's most popular data application, with more than three-quarters of the world's mobile phone users' texting. Its widespread use by the Deaf, and those with other hearing and speech disabilities, was in fact predicted in 2004 in a research paper delivered to an academic conference in Australia.48 Since that time, applications for SMS and instant messaging have multiplied, making it widely available and relatively affordable for people with hearing and speech disabilities. Anecdotal evidence suggests that, of all the technologies reviewed for this Report, mainstream text messaging, SMS or other instant messaging are by far the most widely available and widely adapted for people with hearing and speech disabilities. They are technologies that have resulted, completely unintentionally, in electronic curb cuts of mass proportions. The fact that such technologies are developed by the world's largest software companies and most creative application developers also means that these technologies will keep evolving given market competition and massive consumer uptake. There is little doubt that the above noted Sign to text or speech conversion technology will be developing at a rapid pace over the next 12 to 36 months; an application is expected from Technabling later in 2013. As noted in the concluding section of our Report, it is a technology that bears monitoring and also bears consideration of user reaction to it in terms of its usefulness – and the role it plays in the large range of technologies available to people with hearing or speech disabilities. A number of other technologies and applications are either being discussed for development, in the very early stages of development or just further away given a lack of funding, absence of required technology or lack of interest about their potential uptake by consumers. As a concluding note on the current and developing state of alternative communications technologies, professionals in this field who were consulted for the scan make two very important observations. First, the "ecosystem for these technologies is option-rich." There are more choices than ever before for enhancing communication for people with hearing and speech disabilities – to the point of being overwhelming for some users. It is worth reiterating that this richness of options has created something of a digital divide in terms of tech-savvy users and those who are not. Second, and equally as important, "accessibility features and services are massively underused, even when they are free. People lack awareness and confidence – they don't know what will work and they don't know how to get started." In other words, putting information into action can be a barrier to using the technologies that are there now – and resolving this issue is key. Developments in Sign to Speech/Text Conversion: numerous international projects underway and the prospect of an application in place by the end of 2013 – together with strong anticipation on the part of the deaf community and disability research community. Developments in Speech and Voice Recognition and Conversion to Text: this Report notes the many limitations that have confronted speech to text conversion, especially the inability of the software to recognize multiple speakers. Nonetheless, breakthroughs are always possible and speech to text systems could become more important to users as a result. Disability-focused Developments in Mainstream Technologies: although this element may be almost too large to monitor given the rapid pace of apps and devices, the adaptation of the mainstream technologies as massive electronic curb cuts has been pivotal for users, especially given the sometimes very slow development of alternative assistive communications technologies. A Summary Grid of our Report is set out on the following pages. CapTel Fully developed in the U.S.; not introduced in Canada. Subsidized U.S. system makes it highly affordable. Faster than TTYs, but essentially the same system. No legislative mandate to generate funding support; voice recognition software has limitations. Less relevant as a result of SMS, instant messaging and other mainstream applications. Available in the U.S. through WebCapTel. Positive given limited costs to users, but surpassed by other options in Canada. IP Relay Launched in Canada in 2011. Internet-based relay service, no additional charges incurred, but a high-speed connection is required. Where used, voice recognition technology has limitations; 911 access can be complex; fraud has been a problem (U.S.) Fully feasible, although reliance on the accuracy of voice recognition results in varying degrees of service. Works well with multiple devices, platforms and programs; text-based nature takes up little bandwidth. Important addition to text-based communication entirely suited for the mobile platform as it uses little bandwidth. Speech to Text Conversion Widely used for CapTel, IP Relay and other applications, but software is always upgraded to new versions. Assuming a high degree of accuracy, benefits are undeniable; but accuracy remains an issue. Questionable accuracy; text is secondary to video and to Sign to text conversion. The stronger and higher the rate of accuracy, the greater the feasibility of the application. Multiple uses across platforms; allows for transcription services, enabling access to more mainstream applications. A trigger for a massive number of apps and uses that might prove overwhelming for users and create a digital divide. Sign Language to speech/text conversion Early stages; signs of rapid development (but possible over-promotion should be treated with caution); first app expected to be available to the public by the end of 2013; extent of functionality to be determined, but holds considerable promise. Extensive; enables Sign language communication with non-users; implications for educations, jobs; customizable. Some prototypes are looking at Sign to speech which is viewed as more complex than Sign to text applications. Marketed as a low-cost application with a high degree of accuracy and consistency. Customized feature is key. Will be available across most platforms although not anticipated for iPhone or iPad right away. Possible integration with other apps (Skype, Google Hangout). However, technology would require significant upgrades before achieving that level of functionality. Strong interest in this technology from the user community for its potential impact on everyday life. Adapted mainstream technologies e.g. SMS Massive uptake by people with hearing and speech disabilities; fast, affordable, ubiquitous. Cost and lack of a data-only plan when speech is not needed can be barriers; but fully feasible. Choice is enormous, even overwhelming; but the impact has been life-changing. National Association of the Deaf (2012) "NAD Comments on the Importance of IP Relay" www.nad.org/news/2012/3/nad-comments-importance-ip-relay VRS requires a high speed connection with the Internet given the video compression technology in use. Power, D., M.R. Power, and L. Horstmanshof (2005), "Deaf people's use of SMS and other text-based communication: a brave new world" Paper presented to Communication at work: showcasing communication scholarship: Annual Meeting of the Australia New Zealand Communication Association, Christchurch, New Zealand, 4-7 July 2005. This Report was researched and authored by Richard Cavanagh, Partner, CONNECTUS Consulting Inc.Dr. Cavanagh has over 20 years of experience in researching and analyzing Canada's communications industries, with a specialized focus on social policy and accessibility issues. He has recently completed research on the evolution of technology in the broadcasting and telecommunications industries. Dr. Cavanagh holds a PhD in Social Sciences from Carleton University and an M.A. in Sociology from Queen's University. Video compression techniques would include Video Relay Service and Skype. For purposes of the Report, the term 'technology' is a catch-all term, referring to devices, applications, software and other elements in a product chain that ultimately delivers accessibility to users. Curb cuts – sidewalks that slope to the street – were originally designed for wheelchair users, but have a number of 'unintended' benefits, e.g. strollers, toddlers, other wheeled devices, people with walkers, etc. An electronic curb cut is the term given to an unintended but beneficial spin-off of something like text messaging. Thus while text messaging was not specifically designed for people with disabilities, it has become widely used by those who are deaf, hard of hearing or have a speech disability. See Disabled World (2009), "Text Phones for the Deaf" www.disabled-world.com/assistivedevices/hearing/text-phones.php which provides a thorough discussion of TDD features. As another way of explaining voice- and hearing-carry over: if one can speak clearly, but must use a TTY to read what the other person is saying, Voice Carry Over is requested from the service provider. This lets one party speak, while a relay service operator types what the person says to you. If one can hear, but must use a TTY to type what she/he needs to say, Hearing Carry Over is requested from the service provider. This allows one to hear what the other party is saying while a relay service operator reads aloud what is typed to the other person. Discussions with a former Product Development Manager for Telus and accessibility design expert in the U.S.
 See Government of Canada (2010), Human Resources and Social Development Canada 2010 Federal Disability Report www.hrsdc.gc.ca/eng/disability_issues/reports/fdr/2010/page07.shtml By way of example, the 2010 Disability Report states that people with disabilities aged 25 to 54 are more than twice as likely to be living below the after-tax low-income cutoff (LICO). Discussion with a leading expert on accessible communications devices, U.S.
 IP Relay providers in Canada use voice recognition software to convert speech to text. Power, D, M.R. Power, and L. Horstmanshof (2005), "Deaf people's use of SMS and other text-based communication: a brave new world" Paper presented to Communication at work: showcasing communication scholarship: Annual Meeting of the Australia New Zealand Communication Association, Christchurch, New Zealand, 4-7 July 2005.